Here’s the last Jinhao pen that I tried out last weekend courtesy of Everything Calligraphy. 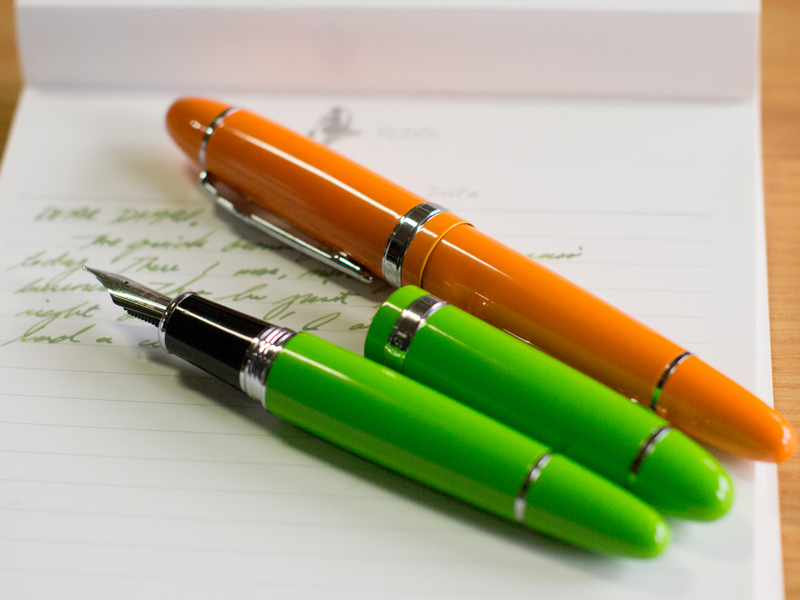 It’s the Jinhao 159, and boy, do they remind me of tictacs. The colors are just so happy! I thought they were so cute! 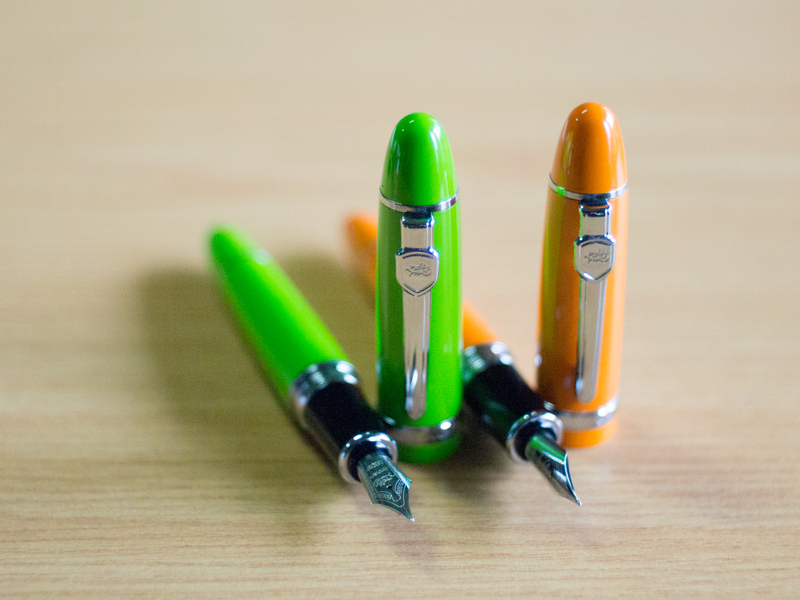 Of the three Jinhao pens that I tried last weekend (read the reviews for X750 and X450), this is probably the most colorful and also the biggest. The body is a cigar shape, and it’s all shiny, including the section. It’s made of metal so it’s quite heavy. 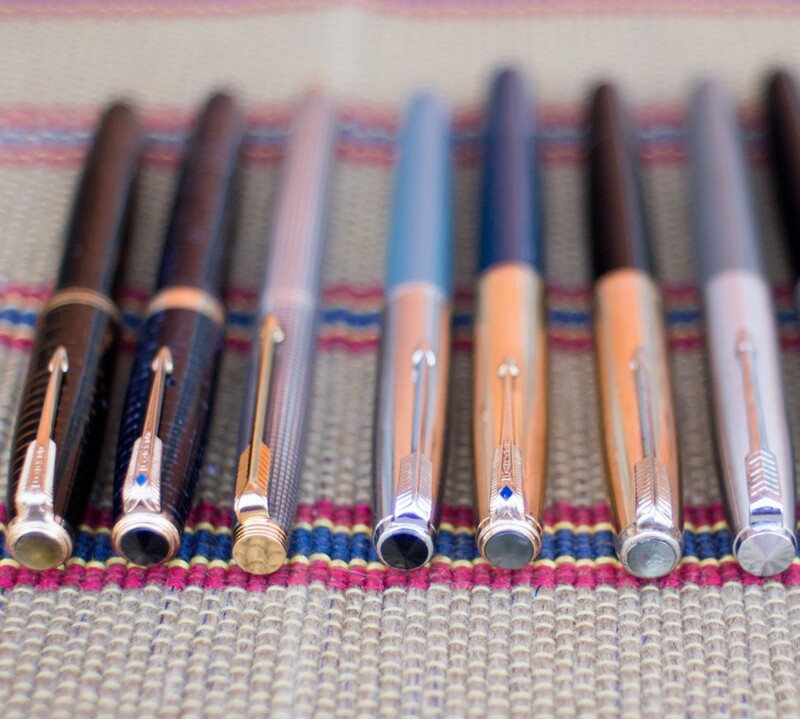 I like how they designed the trimmings of the pen–they’re much simpler. The cap’s bands are thinner, so are the bands near the end of the barrel. It’s a good idea since the colors are already pretty eye-catching. Large trims will only throw the design off. I cannot get over how cute the colors are! My favorite is the apple green. it is such a fun color. 🙂 The pen is large, about 150mm when capped. The cap screws off, unlike the x750 and x450 which pulls off. The nib is also removable, so you can actually replace it with any #6 nib if you want to use something else for it, like a Goulet nib. The weight is about 50g. 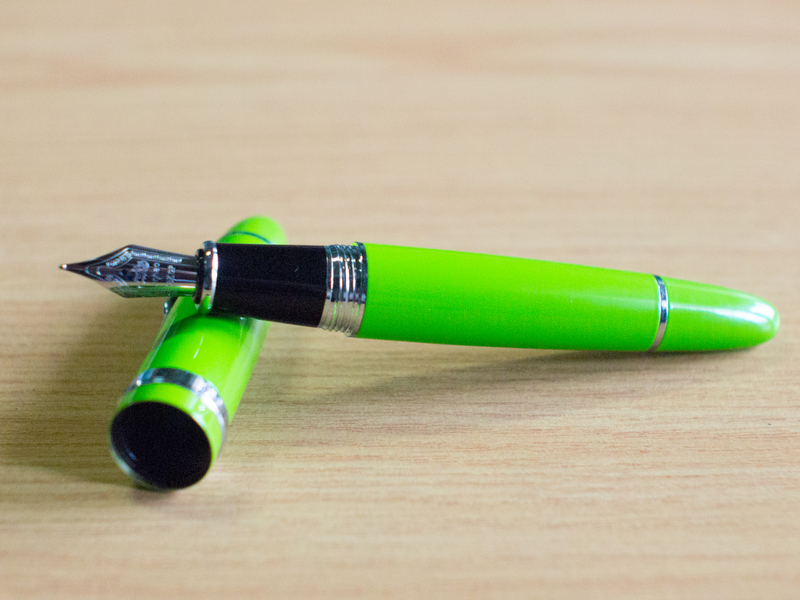 The design reminds me of a Montblanc 149, but all the similarities stop with the basic look. The material, the trims, the nib, the ink delivery system (cartridge/converter), everything about it is different. 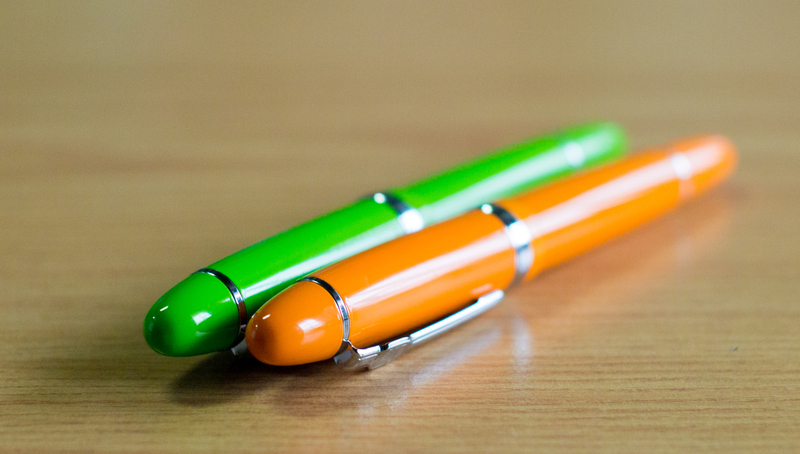 For the price of P599 (about $12), you get a cute pen that writes decently. I say that it’s a good deal for the price.